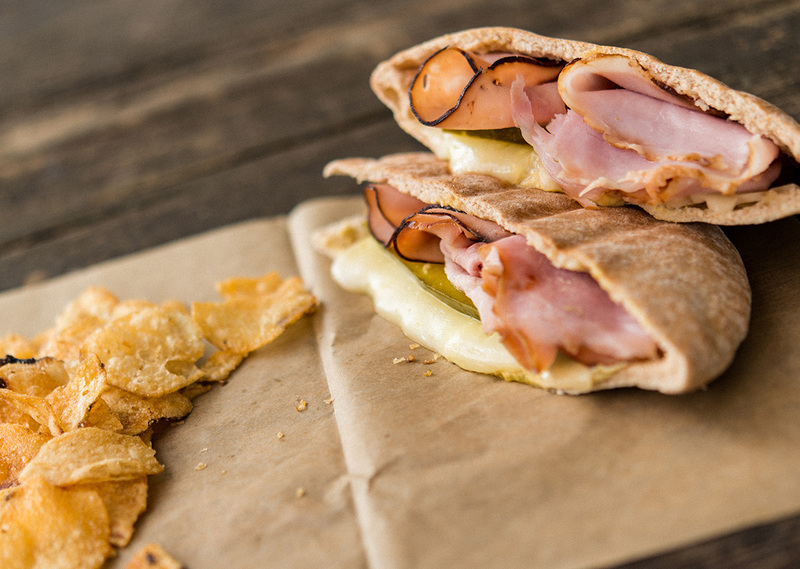 Try this twist on the tradition Cuban sandwich by using a pita and grilling it to perfection! Cut each pita in half. Carefully open the pita, making sure not to break either side. 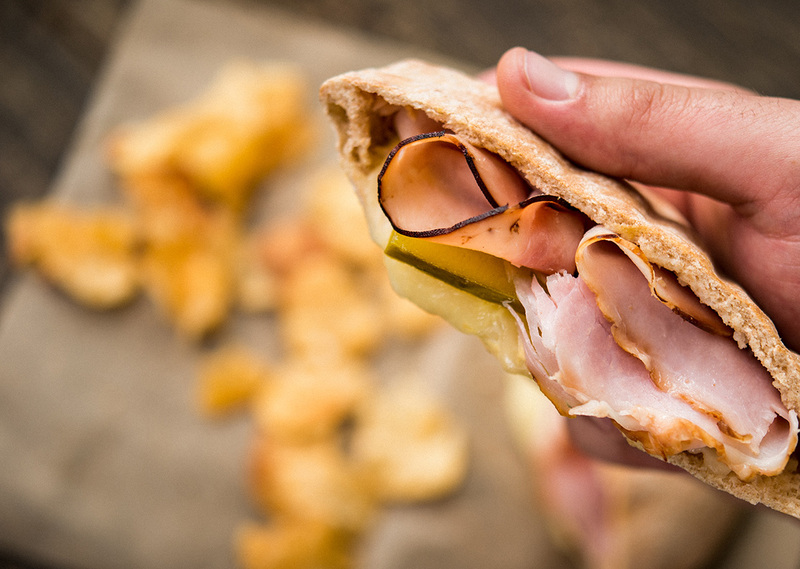 Spread a thin layer of yellow mustard on one side of the pita. Place one half of Swiss cheese on top of the mustard. Place a pickle on top of the cheese. Fill with 1 oz sliced ham and 1 ½ oz. pork. Repeat with the remaining pitas. Place the pitas on the preheated grill. Place the lid on the grill. Grill the pitas for 6 minutes per side, until cheese is melted. Serve warm with black beans and rice or tortilla chips.